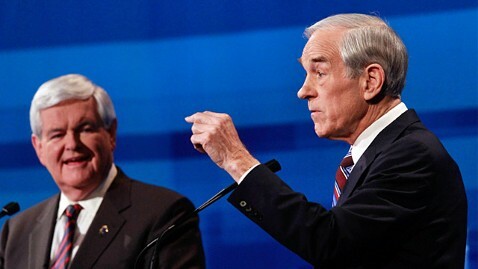 Ron Paul is pushing back against critics of his "Golden Rule" in foreign policy and questioned those who booed him at Monday's GOP presidential debate. Speaking in Spartanburg, S. C. Tuesday afternoon, Paul referenced America's threats of an oil embargo on Iran. "This is why I bring up the "the golden rule" if we don't want people to ban oil imports to our country, why should we do that to another country," said Paul adding "I don't know why that is such a negative term for people to boo that. " Paul also said that America needs to do away with the idea that it will only talk to nations it deems as perfect adding only until America is itself perfect can it make such judgments. Paul's willingness to stand up for what he believes in when it comes to U.S. involvement in foreign countries hurt him repeatedly in Monday's debate. The conservative Republican electorate in South Carolina booed Paul's answers on foreign policy and Texas Gov. Rick Perry even suggested that a gong should have been used to cut Paul off. On Wednesday, Paul takes a break from the campaign trail and returns to Washington to vote against the increase in the nation's debt ceiling. The fiscal conservative called Wednesday's vote a "gimmick" and said even if Congress votes it down it automatically goes into effect. "It's such a mess," said Paul.